Need kitchen installation in NJ for new countertops or cabinets? Call us today for a free cost estimate, at 201-731-5146. Along with the kitchen cabinets, kitchen countertops are one of the most important design decisions that you’ll make when you’re planning to update your kitchen design in New Jersey. 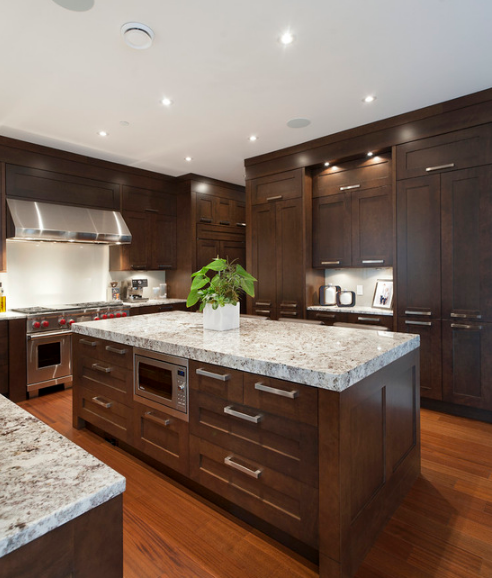 Both cabinetry and countertops form key visual focal points that make or break your kitchen’s overall aesthetic. 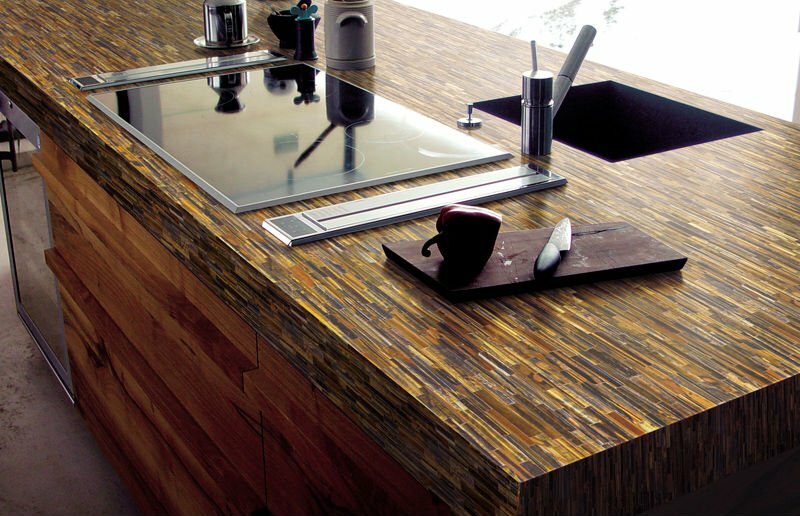 There are many materials to choose from for kitchen counters, from natural stone to less common materials like recycled paper and recycled glass. At All 1 Kitchen, our New Jersey kitchen design experts can help you select the perfect material for your brand new kitchen countertops. Choosing the right material depends not only on aesthetics, but also on functionality and lifestyle concerns. Some materials may look beautiful, but suffer from scratching and staining easily. To find out more about your options for beautiful custom kitchen design in New Jersey, or to schedule a free consultation, call us today at 201-731-5146. These popular materials for kitchen countertops can provide a versatile range of colors, aesthetics, and functional properties, depending on which you choose. The right type of countertop for your new kitchen can depend on your aesthetic preferences, the design style of your kitchen, how often you cook, and how much maintenance you’re willing to deal with. The natural beauty and durability of granite has made it a perennial classic for kitchen countertops in New Jersey and NYC. From traditional kitchens to contemporary designs, this versatile stone works with many kitchen design styles, and comes in a range of colorations from light beiges and whites to striking blues and greens. As a natural stone, each piece of granite is unique. The price of granite can vary, with exotic and rare colors costing more. Because it’s so durable and scratch-resistant, granite is a great choice for homeowners who want the look of natural stone, but not the maintenance demands of marble. The classic elegance of natural marble never goes out of style. It offers a great deal of variety in colors and grains, from gleaming white to striking greens and reds, and develops a characteristic patina with age. Composed of calcium carbonate, different impurities in marble from different regions affects its grain and coloration. Its softness is a disadvantage, however. Unlike granite, marble can scratch quite easily, and can be damaged by exposure to acidic foods. Even a mild detergent can sully marble’s finish, so proper care and cleaning is quite important. 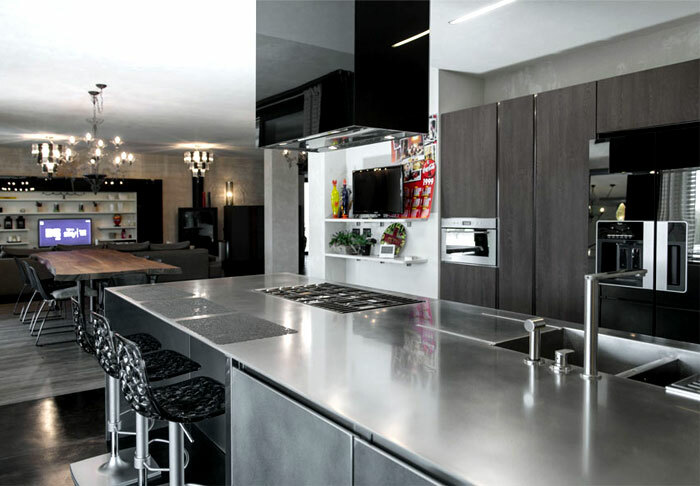 Stainless steel, a mainstay of ultra-contemporary kitchen design, is preferred by professional chefs. It doesn’t stain, it’s heat-resistant, and it’s easy to clean and sanitize, making it a relatively low-maintenance countertop option. Stainless steel is an alloy that contains 10.5% chromium, which lends it a better corrosion resistance than conventional carbon steel. Favored in scientific laboratories for its excellent stain resistance, soapstone has a soft, smooth, matte sheen that looks great in many diverse kitchen designs. 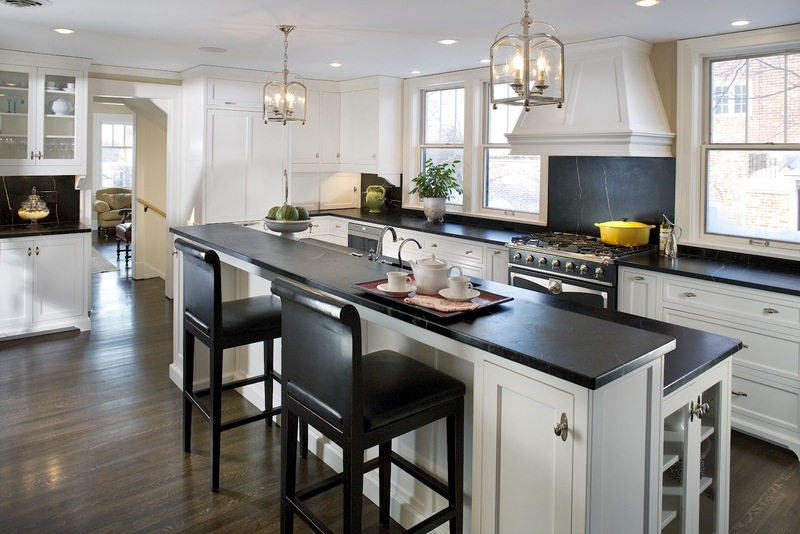 Because of its superior durability, soapstone countertops are a lifetime investment. It’s unaffected by high heat, and its density makes it impenetrable for bacteria and stains. However, its high talc content makes its surface softer than other stone, meaning that it can accumulate small nicks and scratches. Engineered quartz is aesthetically versatile, available in a nearly endless variety of patterns and colors. From basic black and white, to colorations that mimic natural stone, to more unique patterns like the countertop above, engineered quartz is a chameleon that can adapt to nearly any kitchen design. It’s manufactured from about 90-95% ground quartz, along with 5-10% resins and pigments. It’s durability and hardness are similar to granite, and the resin that holds it together makes it malleable and impact-resistant. Because it’s nonporous, it also resists staining. However, it isn’t as heat resistant as other materials, so hot plates should be placed on trivets or potholders. 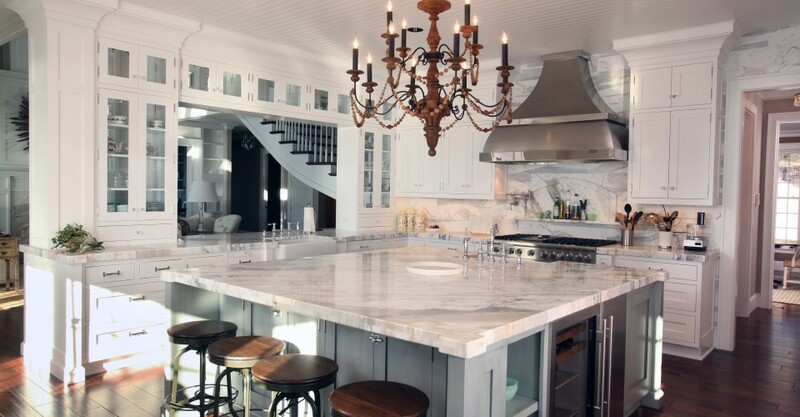 At All 1 Kitchen, we specialize in kitchen design services in New Jersey and NYC. From traditional farmhouse kitchens, to eclectic urban shabby chic, we’ll work with you to find the perfect options for countertops, kitchen cabinet installation, and other essentials. To schedule your free consultation today, call us any time at 201-731-5146.